The purpose of my research is to understand mechanisms of visual and tactile perception and to develop support methods for individuals with visual disorders. Ph.D. in Graduate School of Science and Technology, Chiba University, Japan (2005). April 2012 – Present. 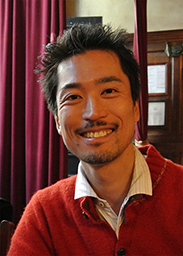 Associate professor, Kanagawa University, Japan. April 2009 – March 2012. JSPS research fellow, Tokyo University and Sophia Unversity, Japan. April 2009 – July 2010. Visiting resercher, McGill University, Canada. August 2007 – March 2009. Postdoctoral research fellow, McGill University, Canada. April 2005 – July 2007. COE research fellow, Kanazawa University, Japan. Maehara, G. & Miki, A. Grant-in-Aid for Scientic Research (C). (2017-2019). “Deficits of motion perception under binocular viewing in patients with amblyopia.” JPY 4,420,000. Maehara, G. Grant-in-Aid for Scientic Research, Research Activity Start-up. (2012-2013). “Interocular-suppression-induced symptoms of amblyopia.” JPY 2,860,000. Maehara, G. Institutional Program for Young Researcher Overseas Visits. (2009-2010). “Binocular motion processing and its application to amblyopia.” JPY 1,270,715. Maehara, G. Grant-in-Aid for Scientic Research, Grant-in-Aid for JSPS Fellows. (2009-2011). “Binocular motion processing and its application to amblyopia.” JPY 2,800,000.